Mango season will come to an end any day now in our part of Mexico. When that happens, it will be a readjustment of reality for me. 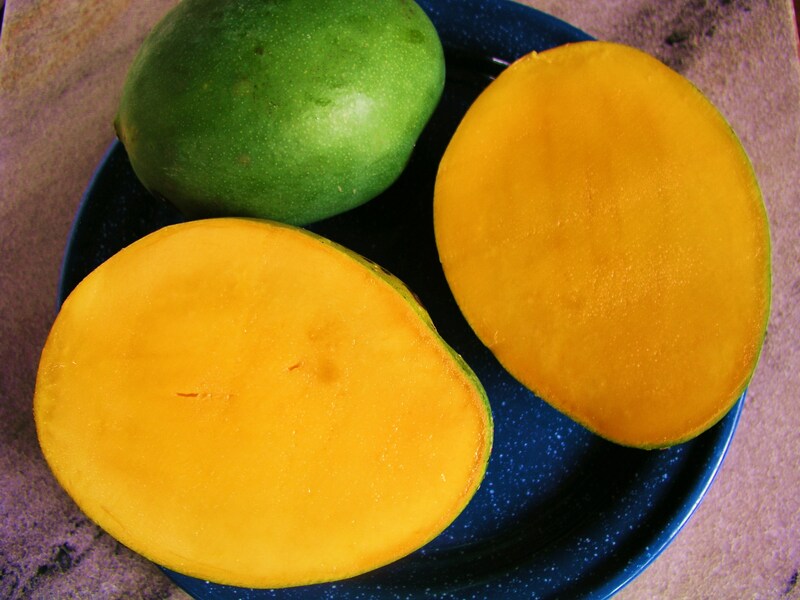 It is so easy to get used to having fresh, sweet mangoes whenever I want, everyday. 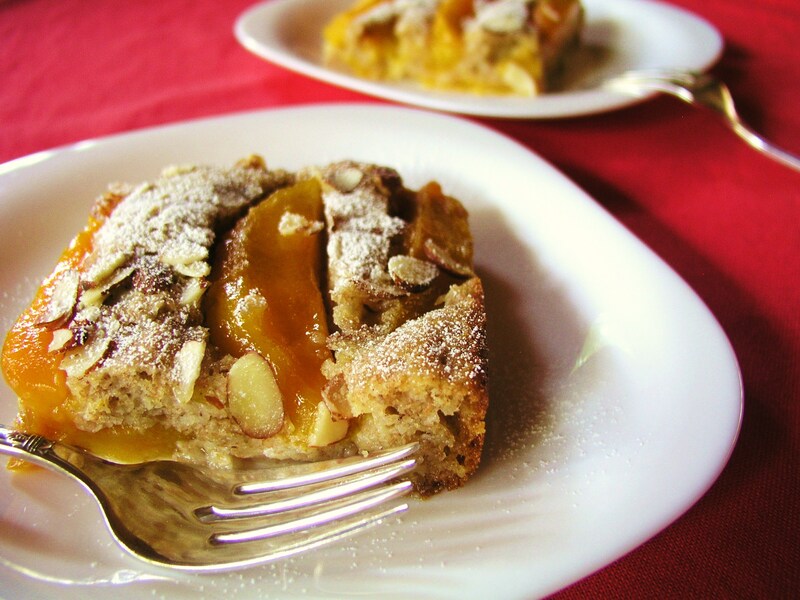 Well, before the harvest ends, here is a very easy mango cobbler to make. 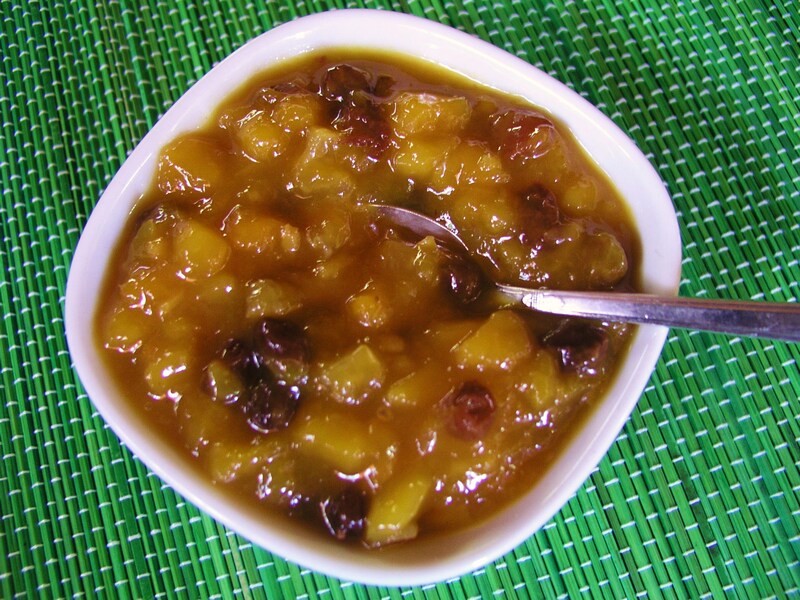 Once you have sliced mangoes ready, the few ingredients for the cobbler batter are mixed up in minutes. Into the oven. Out of the oven. And on a dish in front of you, topped with a cool scoop of yogurt, maybe homemade yogurt. 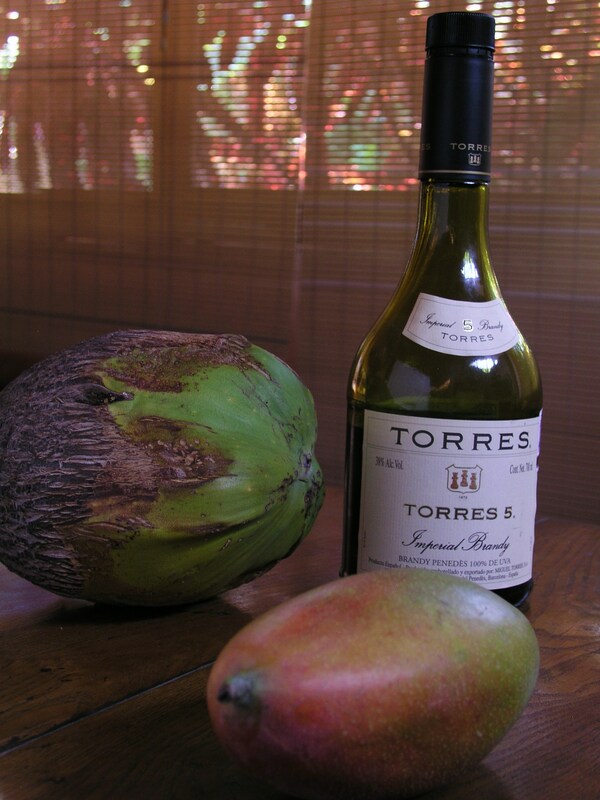 Its smooth and tart coolness contrasts nicely with the warm sweetness of mango cobbler. Like many of my baking recipes, this one is made with whole wheat flour, a minimum of sugar, and organic ingredients when available. I used Tommy Atkins mangoes. Read recipe through completely. Pre-heat oven to 350 degrees F. (180 C.) Prepare and measure/weigh all ingredients. 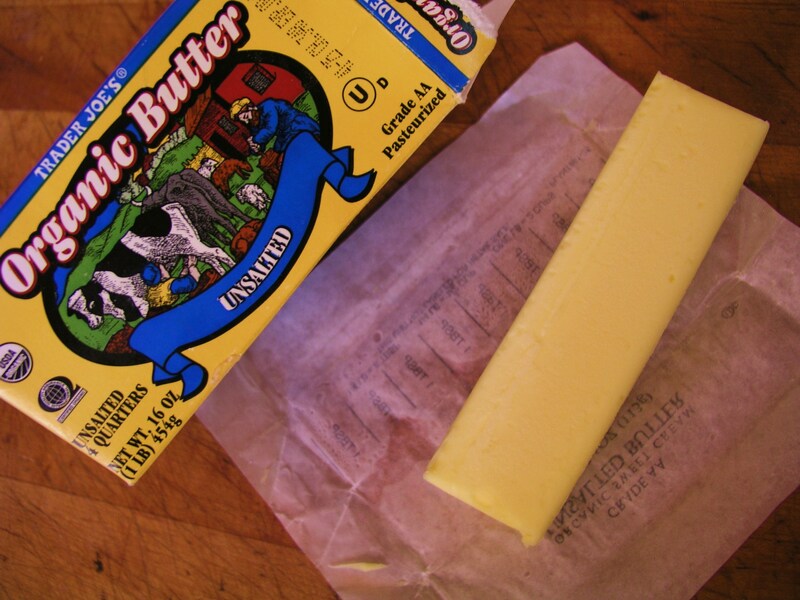 Melt butter in a 9″x 9″ (about 22 cm. square) baking pan. Swirl to coat sides of pan with melted butter. Arrange half of mango slices in bottom of pan. 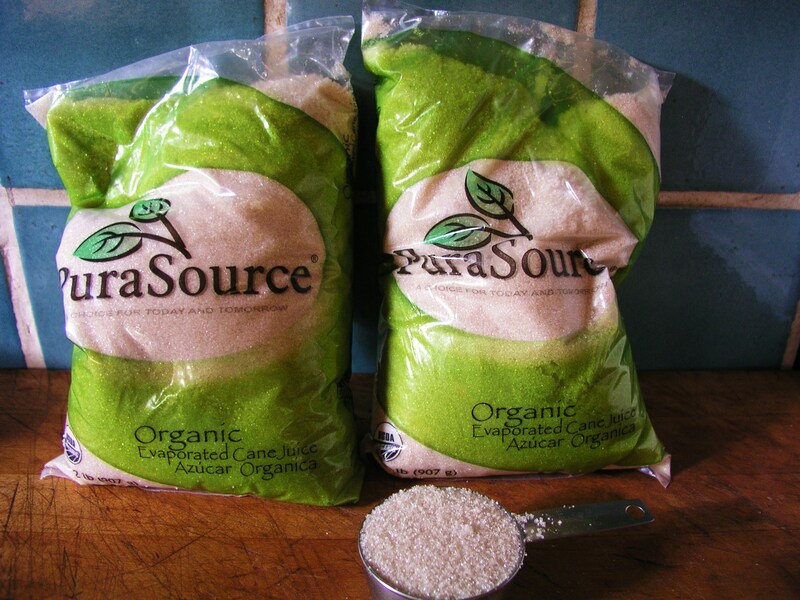 In a bowl, mix flour, sugar, salt, cardamom and baking powder briefly with a fork. Add milk, and stir just until dry ingredients are incorporated. Spoon batter over mango slices. Arrange remaining slices on batter. Sprinkle with sliced almonds and 1 tablespoon of sugar. Bake for 45-50 minutes, or until cake tests dry with a toothpick and is light brown. Dust with confectioners sugar and serve warm with plain yogurt. This cobbler is extra fruity, because there are two layers of fruit, rather than the one layer found in most cobbler recipes. 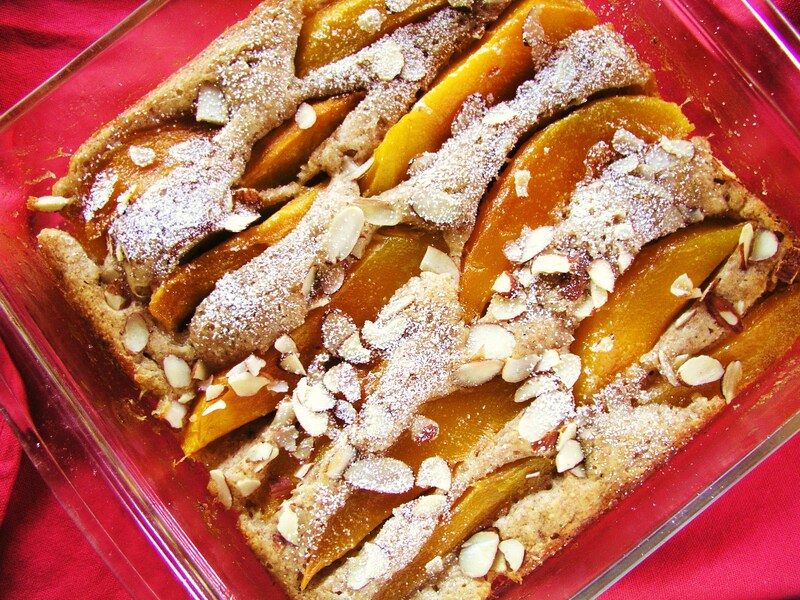 Extra fruit means extra fructose, resulting in a cobbler still very sweet, even with a minimum of sugar in the recipe. 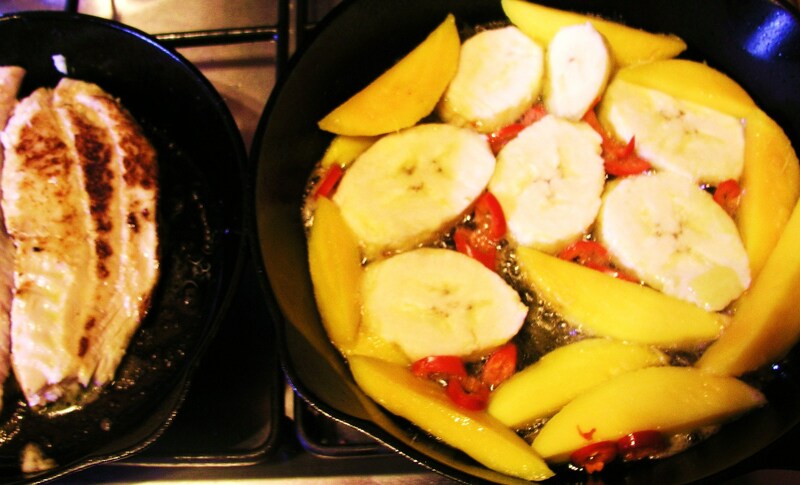 Fish and tropical fruit are a wonderful combination. Whether the fish fillets are pan-fried or grilled, whether you use mango, bananas, pineapple or all three — it will be a beautiful dish that delights your eyes and taste buds. This time of year, mangoes are still plentiful in our part of Mexico. Kents, Tommy Atkins, Ataulfo, and Criollos, the small, wild mangoes, abound. Each has its own flavor and texture, and each is incredible. The dilemma I face is how many different varieties can I eat in how many different preparations before the harvest ends. As if a surplus of mangoes is not enough, our bananas are starting to ripen. We have enough fresh fruit to feed a small army. 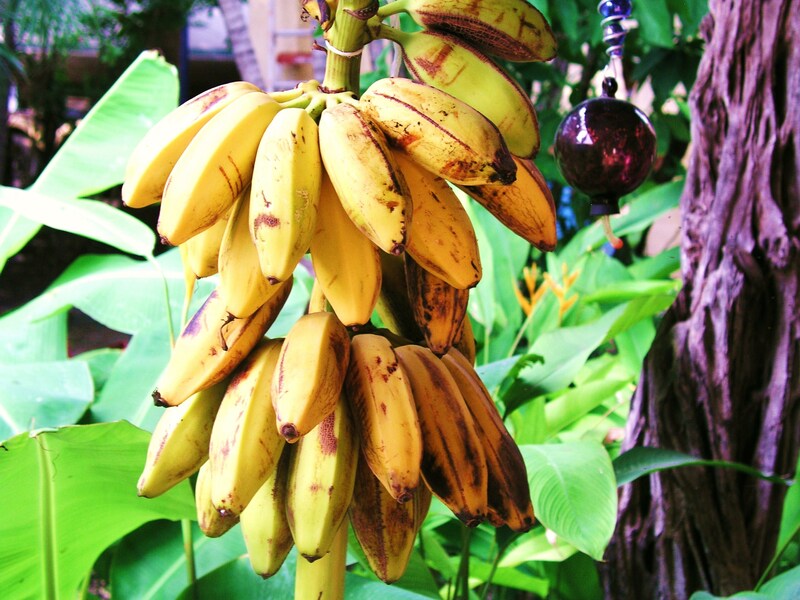 A newly cut bunch of platano macho bananas is hanging on our back patio. When ripe, they have a slightly acid, citrus-y flavor never found in a grocery store. 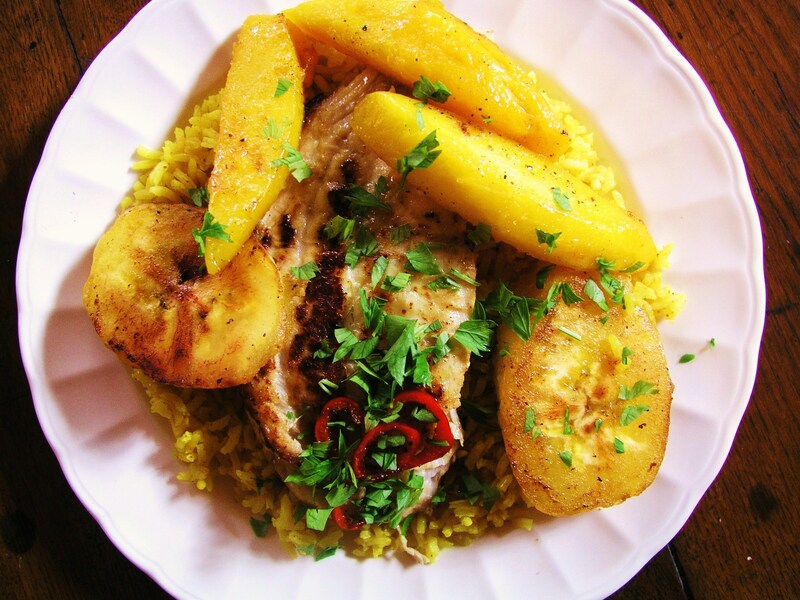 While still too firm for fresh eating, the plantano macho, can be cooked like a plantain. This bunch produced particularly large bananas, as if needing to live up to their macho name, weighing three quarters of a pound apiece. I can’t eat a whole one by myself. It’s a good thing our dog Chucha likes bananas. She can eat a whole one. Read recipe through completely; assemble and prepare ingredients. Mix marinade ingredients and marinate fish fillets for 20 minutes. Shake off excess marinade and pan fry fillets in hot coconut oil over medium heat. Allow about 8 minutes per inch of thickness (measuring thickest part of fillet), turning fillets over half-way through cooking. While fillets are cooking, sauté fruit and serrano chile in butter about 5 minutes over medium heat. Do not allow to over-cook and become mushy. 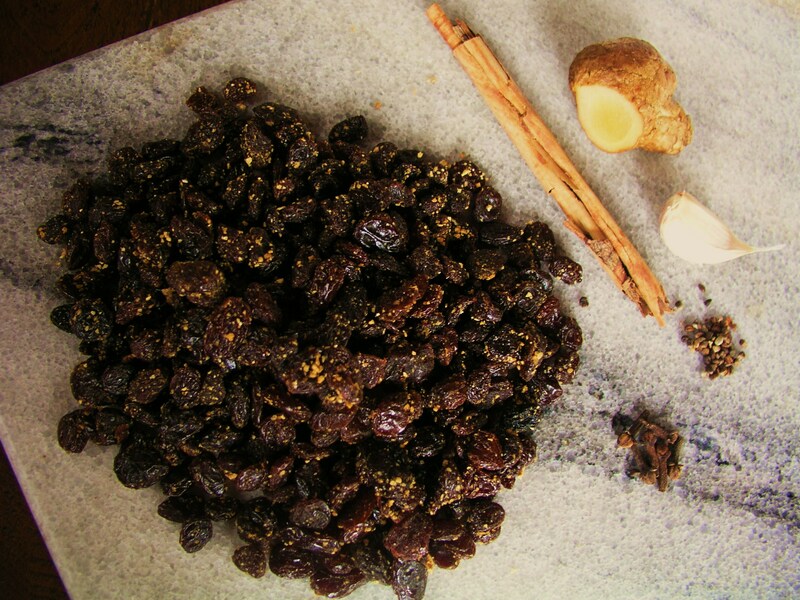 Gently stir in lime juice, allspice and cinnamon. Salt to taste. 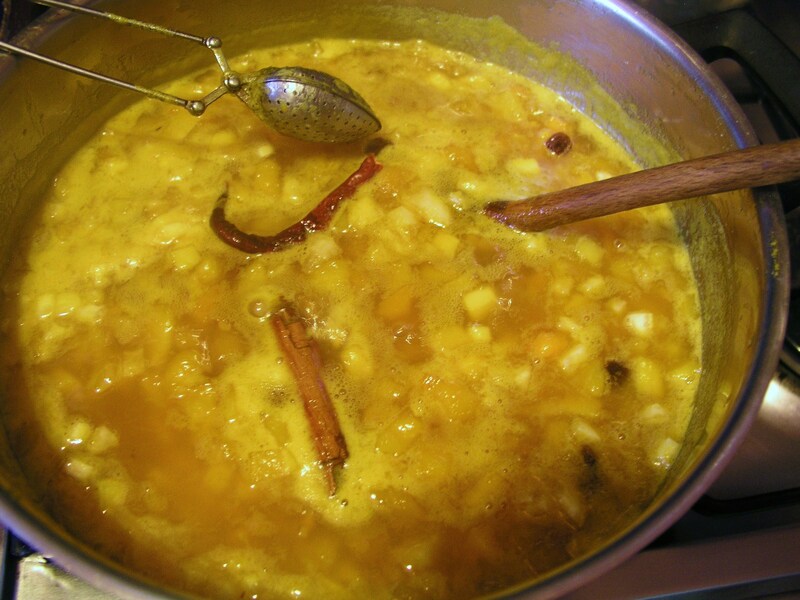 Serve over Golden Rice cooked with turmeric. Spoon fruit over fish. Garnish with cilantro. A responsible seafood vendor will help you make a selection that is environmentally sustainable. Refer to the Monterey Bay Aquarium Guide (see Link at top of page) or to The Pescatarian’s Dilemma for help on making an informed choice. Use an instant-read thermometer for perfect doneness of fish. An internal temperature of 135 F.(57 C.) assures fish that is not over-cooked. As soon as fish is done, remove from pan to prevent further cooking by the hot pan. 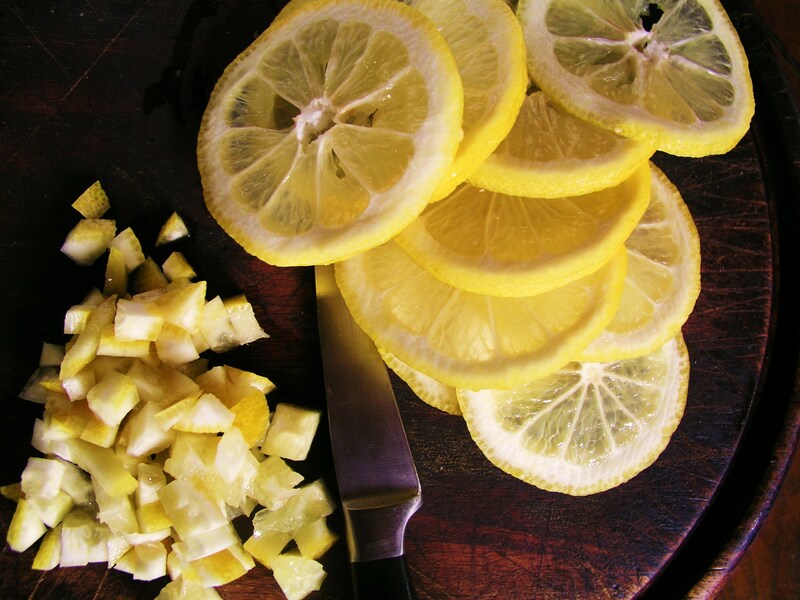 For how to slice and dice a mango, and how to skin and slice a pineapple, see previous posts. Butter is hot enough for cooking when the foamy bubbles have subsided. Mango season continues in Mexico, as do the languid, humid days. Icy drinks help us forget the heat while we enjoy our bounty of mangoes on a tropical afternoon. 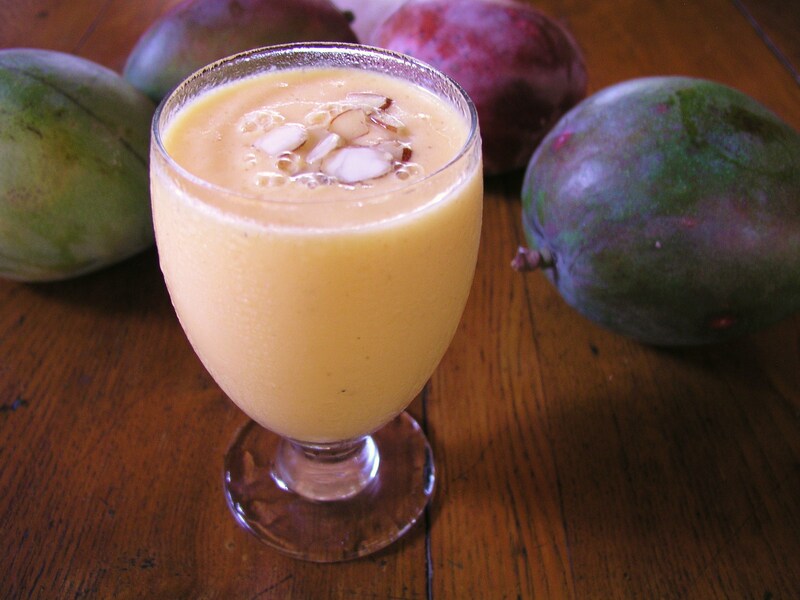 Mango Lassi is a good way to enjoy these flavorful beauties and rehydrate at the same time. Lassis are cold fruit and yogurt drinks from India, reputed to aid digestion when taken with a spicy meal. They are so refreshing, so welcome on a hot afternoon, I don’t need the excuse of eating spicy food to enjoy one. 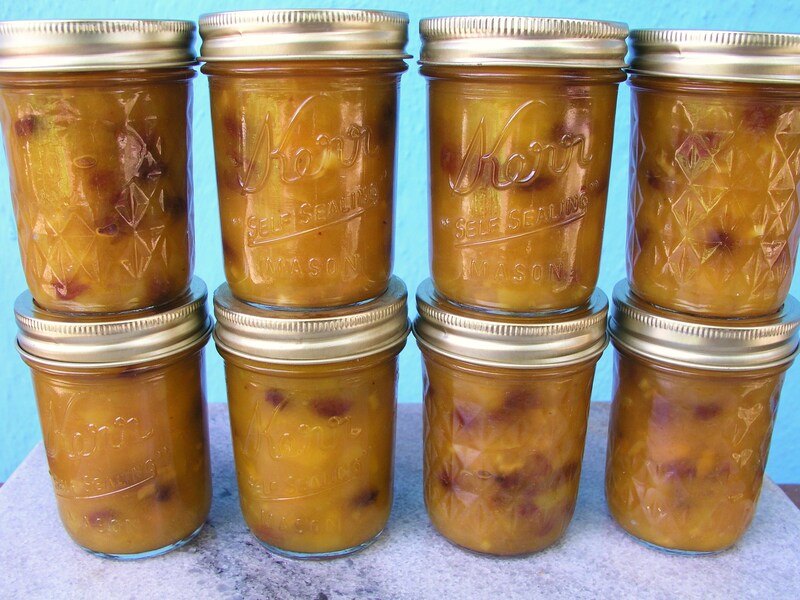 Quick to whip up in the blender, they serve as one more way to enjoy the luscious, drippy, golden, succulant mangos that abound this time of year. Indulge me, please, and let me get away with an overuse of descriptive mango words. They really are that incredible. 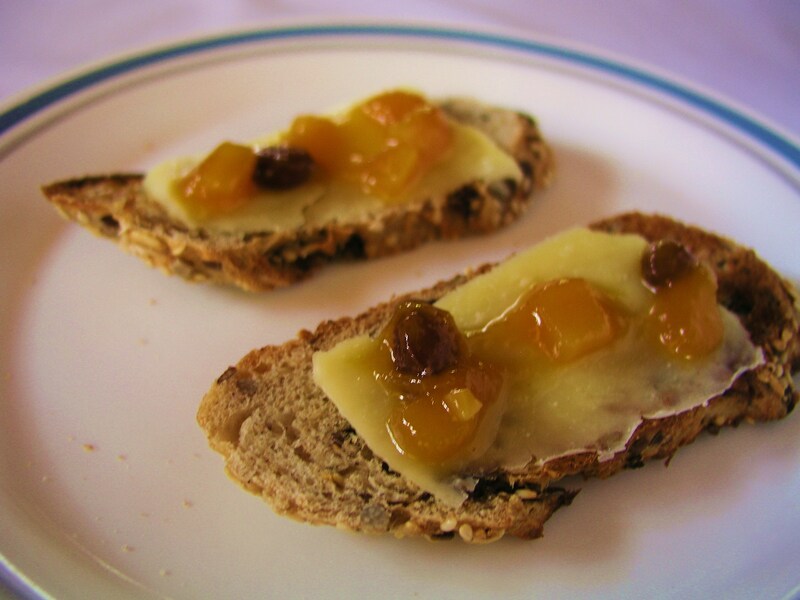 Are you squeamish, faint of heart and stomach, and generally a picky eater? If so, stop reading right now. If you choose to stay with me, don’t give me, “Oh, ewwww!” when you see me next. See those little tracks in the photo above, the tiny tunnels in cross section? They are most likely made by larvae of the Mexican fruit fly, Anastrepha ludens, the scourge of citrus and mangoes in Mexico. Some mangoes are so infested, they are inedible. This mango, the same one I used for the lassi, was not banished to the compost pile. It is a simple matter to trim out buggy parts, if you feel you must. Mangoes for export are sprayed, as are many grown for domestic use. 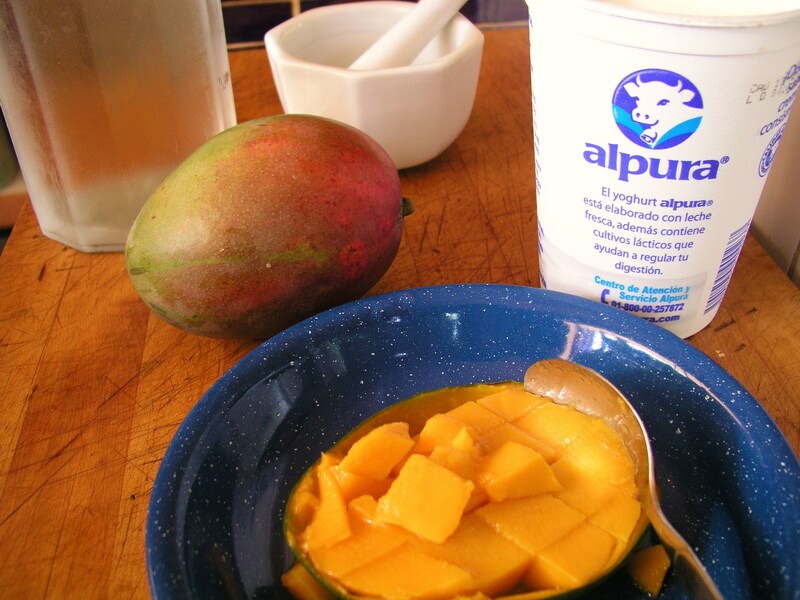 Malathion and diazinon are two of the chemical sprays used to treat mango trees. According to one source, both of these pesticides “harm children and farmworkers, poison wildlife, and taint food and drinking water”. Nice. I know it is virtually impossible these days to be chemical-free, despite our efforts. Sprayed mangoes, the perfect ones in the super markets, can be had. The local mangoes I buy from my neighbors have evidence of fruit flies, so I will assume they are not sprayed. I don’t have a problem with eating a few bugs now and then. Years of living in Mexico has inured me to many types of other life forms: leggy spiders, winged termite clouds, six-legged tiny beings I can’t even categorize. Indigenous people of Mexico and other countries, to this day, rely on insects for additional protein in their diet. Who am I to question the wisdom of centuries? The alternative is to continue adding to my body’s chemical cocktail accumulation. Just in case you are wondering, I also researched the safety of eating fruit flies and larvae. They are safe to ingest. Meat is meat.